Once you’ve chosen your new INFINITI, you’ll be itching to get it on the road. You won’t want to deal with stressful financing decisions. That’s why our West Palm Beach, Florida, financing team has broken down the differences between leasing and financing so that you can make your decision and drive off the lot even sooner. Should You Lease or Finance Your Next INFINITI? The answer is different for different drivers. Both options have their own advantages. When you’ve finished with your payments, the car is yours. This means you’ll be able to modify your car without restrictions. You also won’t have to worry about mileage limitations. If you choose to lease, you will pay less up front and in monthly payments. You’ll also be able to return your current car and upgrade to a new one once the lease term has ended. 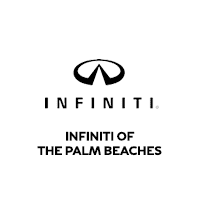 No matter which option you choose, the INFINITI of the Palm Beaches finance team can build you a plan you’ll be comfortable with. Contact us at (561) 220-5259 or apply for financing online to get started.